How Negative Energy Affects Your Life! Everything in this world is made out of energy. 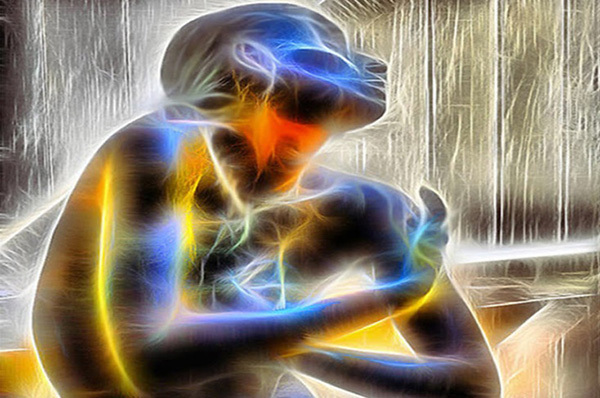 Some of this energy moves in and out of our bodies while transferring information with it. The two types of energies we possess are negative and positive energy. The positive energy will make us feel happy, energized, full of life, inspired, motivated, and healthy. While the negative energy on the other hand makes us feel tired, unhappy, sad, depressed, and angry but the extreme volume of negative energy will create sickness. There are many ways we can acquire those energies; either we create our own by the way we think, speak, and act. We can receive it from an outside source by touching anything like, a person, an object, an animal, a plant, a tree or ingesting it in a form of food. We tend to perceive negative energy as something other people have. Sure, sometimes we feel negative as in, “go away and leave me alone, world!” but did you know that negativity can be so ingrained in you that it goes unnoticed? That’s because negativity sometimes wears a disguise called ‘reality’. 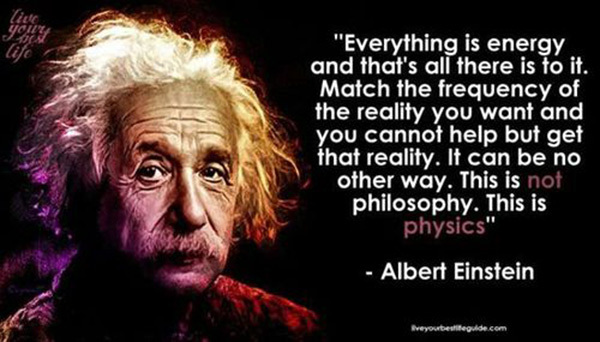 It’s easy to rationalize that you’re ‘just being realistic’ in not daring to act on a dream, and believe it! You may assume that positive people are not being realistic, that they’re being naive, that they are in denial with their heads stuck in the sand, that they put on fake smiles in the face of difficulty and so forth. But are they really happy idiots or is there something to their positivity? Consider this: since when does ‘being realistic’ necessarily mean that things will go wrong and that you have to accept that as the truth? That doesn’t mean that being realistic is automatically negative. When you view the world from a ‘realistic’ standpoint, you can’t help but be negative IF your version of reality is negative. If your version of reality is negative, you are conditioned to believe that whatever can go wrong, will go wrong and whatever can go right, will probably go wrong too. Your unconsciously held beliefs make you into a negative person without your being aware of it! So … if this negativity is so ingrained in you that you don’t notice it, how do you determine whether you’re stuck in a cloud of negative energy that is attracting the wrong people, wrong situations and wrong feelings? And how can you be sure you’re not perpetuating that negativity? * Do you complain? All the time or just sometimes? * Do you often discuss what’s wrong in the world more than what’s right? This includes the ‘terrible’ weather, ‘horrible’ traffic, ‘idiotic’ government, ‘lousy’ economy, ‘stupid’ in-laws, etc. * Do you criticize? All the time or just certain people? * Do you blame? All the time or just certain situations? * Do you believe that you have no control over most of your results? * Do you feel like a victim? Do you talk about people doing things to you? * Are you grateful for what is or will you be grateful when things finally start going right for you? * Do you feel like things are happening to you? Or do you feel that they are happening through you? If you’re not grateful except when things go right, you are negative. Gratitude is positive. If you are grateful for what is (including the unpleasant school of life lessons), then you can invite more and more positive energy into your life. Believing that things happen to you puts you in the role of victim; then it’s easy to be negative because it’s convenient to give up that power. So consider this alternative: who or what is to blame when GOOD things happen to you? Do you acknowledge that you are responsible for the good things as, you worked hard, you earned it, etc… but blame external events or other people for your failures? So how come, when good things happen, they are a result of what you do, but when bad things happen, they are not your fault? Nobody likes to hear that. It takes courage to accept that you create your life experience! If you answered yes to any of the above questions, you are holding on to negative energy to some degree! To clear your negative energy and raise your vibration, you will need to retrain yourself to choose a positive attitude. Here’s another interesting idea to consider. Have you noticed that positive people seem to get what they want out of life, and even if things don’t go their way, they still enjoy their lives… while negative people whine and moan about their misfortunes and even the good things in their lives? Meditation is a technique used to release negative energy from the body which works well for a lot of people. Science has already claimed that the stress can create illnesses in our bodies; like blood pressures, heart failure, stomach ulcers and other problems. Stress is a form of negative energy created through the social aspect of life especially work, and family pressures. But if you understand how these energies affect your life you might want to do something about it to keep yourself healthy, and out of the doctor’s office. Well it’s time to take life into your hands and clear out your negative thought patterns!!! HOW TO STOP NEGATIVE THINKING: END OBSESSIVE THOUGHTS AND ANXIETY NOW. If you found this of any help to you, please like and share so others can benefit as your not alone.